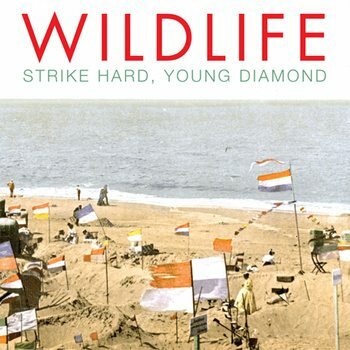 [LP] WILDLIFE STAND apart IN THE world of indie bands full of WATER. They are full of MATCHES. It happens every year. Just as you are wrapping up your Best Albums list you stumble on that album that flew under your radar and is suddenly now blanket bombing your ears with explosive jams that you can’t stop listening to. This year’sÂ assaultÂ comes courtesy of Wildlife and their debut LP Strike Hard, Young Diamond. Well,Â assault isn’t really the right word. More like an enthusiastic invitation to join them on a day trip to the beach of huge hooks, bask under the glowing sun of good vibes and occasionally jump into the ocean of catchy sing-alongs. Damn, that’s kind of a confusing analogy. Good thing they put a helpful visual on their album art. Although all the people dancing and moshing to the band must be just out of frame. “Stand in the Water” kicks off Strike Hard and I can’t remember the last time I heard such a perfect opening track. It starts off innocent enough, just a light acoustic guitar strumming away, and then things start to build. More guitar. The urgent vocals. The huge drums. The right on “oooohhh”s. Before you know it the whole thing has comes in like the tide and you are singing along so hard that you don’t even notice that your pants are soaked in sea water and the sand crabs are rocking out too. Everything continues on point through the rest of the album as Wildlife tackle floor stompers (“When I Get Home”), tender soul baring (“Drunken Heart,” “American Eyes,” “Killing For Fun”), Â and rousing anthems (“Sea Dreamer,” “Move To The City”) with equal panache. But it’s “Matches” that somehow edges slightly above the rest for me (not an easy feat. Tough playing field!). 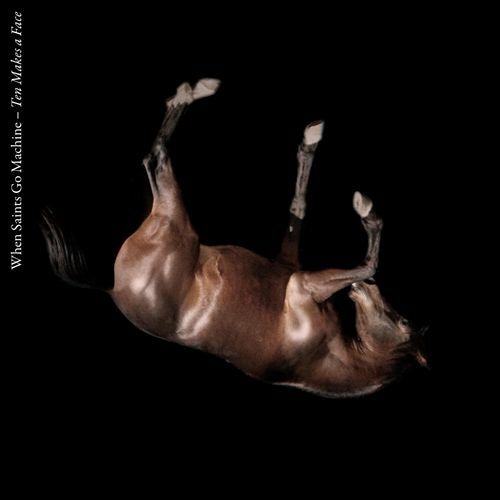 There is something so classic in it’s execution but paired with Wildlife’s unique vocal delivery and on-point grooves it takes things to a great new level. Something familiar and fresh all in one. I guess that’s what Wildlife are all about, really. I dig it. Grab Strike Hard, Young Diamond at their Bandcamp for only 9 Canadian dollars! In American dollars that’s only like… well… the same really. Either way, it’s damn worth it. Well done, ya hosers. https://www.theburningear.com/media/2011/02/Strike-Hard-Young-Diamond-Cover-Art.jpeg 350 350 Brandon https://www.theburningear.com/media/2015/03/TBE-Header-Logo-2015-stack1.png Brandon2011-02-04 21:12:332011-04-10 18:47:02[LP] WILDLIFE STAND apart IN THE world of indie bands full of WATER. They are full of MATCHES. Elizabeth Morris moved from Australia to London in 2005 and started making music under the name The Darlins. 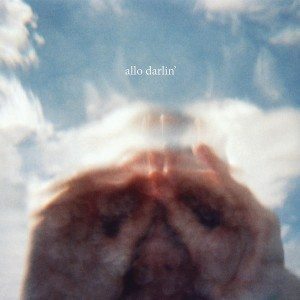 One name change, a couple new members, and over 5 years later and I finally stumble across Allo Darlin’ self-titled debut. The LP came out last summer and that certainly would have been a perfect time to soak in these sunny and sweet jams.Â Call it twee if you must, but these simple and heartfelt tracks feel more significant than that “genre” implies. “Dreaming” makes me want to do the twist and do cartwheels at the same time, a sure recipe for a compound fracture. Something about that boy/girl vocals that makes great love-pop songs even better (see: Slow Club). “The Polaroid Song” packs perfect twang, tight bounce, and some cottony “oooh, ooohhh”s into a little dance package that screams top-dropped road trip up the coast. If only, right?Â Other album standouts are awesomely Weezer-referencingÂ “Kiss Your Lips,” the tender “Let’s Go Swimming,” and the empowered “My Heart Is A Drummer,” but really the whole thing is a swell affair. Maybe not “Woody Allen” so much but that’s kinda what you get when you write a song that makes me think of… well, Woody Allen. So kick your shoes off, crank up the stereo, and start busting all those moves you picked up from Jack Rabbit Slims’ dance-off and old episodes of Happy Days. Bear Hands have been foating around the blogosphere for a few years now, even gracing our ears some 9 months ago. Early hit “What A Drag” seemed to imply a band content with goofball indie-pop but dig into their debut LP,Â Burning Bush Supper Club, and it’s immediately clear that they are operating a little left of center.Â Why they waited so long to drop an LP is a mystery but it sure paid off. While so many overhyped bands seem to rush a debut that ends up falling flat, these guys are clearly crafting their own sound and doing it on their own terms. While jams like “Belongings,” “Blood and Treasure” and (my favorite) “High Society) are easily lovable indie jams that are designed for maximum bounce, other tracks take things down a notch. Current single “Crime Pays” is a perfect example of what kind of addictive mellowness Bear Hands deals with. Catch the great video below for further proof that these guys aren’t your average buzzband. 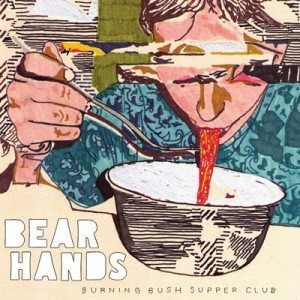 Unfortunately Bear Hands loose some of my attention on some of their more laid back tracks. If the whole album was “High Society” level bass work and bouncyÂ exuberanceÂ then I’d be head over heels for these guys. However, it’s still a solid album that definitely reveals more charm with each spin. Look, I get it. You hear a song too much on the radio and it’s ruined. You hate it. I get that. But the thing is that while overplay of “Just The Way You Are” may have you hating Bruno Mars, there are others of us out there. Others like me who had never heard the song until 2 weeks ago. Others who may never have heard it yet. This post is for us. Chalk it up to being so buried in this blog or chalk it up to living in Europe, but I’m usually out of the loop when it comes to radio hits. So when I read about some guy I’d never heard of being nominated for 9 Grammys I figured I’d better check him out. 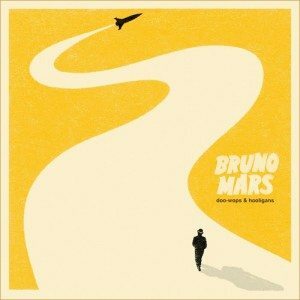 Enter piano man Bruno Mars and his debut LP Doo Wops & Hooligans.Â This lean 10 song collection had me floored from the first listen. Something about both Mars’ production and voice is so simple and streamlined that it’sÂ endearing. Not a lot of over-production here. And the simple lyrics are instantly relatable. It’s how pop music is supposed to be done. The formula for success onÂ “Just The Way You Are” (above) is simple: crisp and funky beat, delicate piano line, and Bruno’s pipes dropping someÂ saccharineÂ loving on his girl. That’s it! Clean, simple, and beautiful. That’s the way of Bruno Mars. Sure, the majority of these tracks are sappy love songs sung directly to the girl but that’s part of his charm. He’s a simple guy in love with a girl and he just wants to sing about it. It’s a story as old as time and I can get down with that. Other album highlights are “Grenade,” “Runaway Baby,” “Marry Me,” and “Talking To The Moon,” but album closer “The Other Side” wraps the whole thing up nicely. Cee-Lo and B.o.B jump in to help Bruno kick things up a bit and send us off in style. And that’s when I start the album over again. BRONZE are from Brooklyn and have just dropped the most exciting EP I have heard in a veeery long time. I’m so pumped on this release that I’m putting up two tracks here in an effort to shine a broader light on their talents and make sure that all of you grab this free EP here. The great part? These two are the first two tracks on the EP and they aren’t even some kind of peak, the other 3 are equally brilliant, sometimes even more so! The BRONZE EP kicks off with “Horses” and it’s bullet train percussion before giving way to the softly lilting intro of “Deep Freeze.” This jams eventually kicks into a massive swinging bounce that gets me rocking and singing along every time, even the first. Things mellow out beautifully for the handclaps and Isaac Brock-ian “Sunny Day” before igniting again on the brilliant “Sara Lisa.” It’s their most popular song and while I haven’t been able to pick a favorite, it’s no surprise others have picked this one. It’s large. It’s delicate. It’s passionate. It’s catchy. Basically, it’s BRONZE. Album closer “Count To Two” channels a bit of Jesse Hughes (Eagles Of Death Metal) as it shreds it’s way through bongo drums and ghostly “oooohs.” Damn, there is so much brilliance going on in these songs that all these descriptions feel flat. Just get the damn EP. It may be free but I’d pay 10 bucks, easy, for unfettered access to these jams. Let’s just hope these guys are hard at work on more stuff! You lucky NYC bastards can catch ’em live in Brooklyn on Jan 14th and in Manhattan on the 30th. Report back! After falling hard for When Saints Go Machine’s “Fail Forever” just a few weeks ago I found out that they had a full album out and immediately tracked down a copy. Ten Makes A Face seems to have come out back in 2009 but never found widespread release, nor much blog traction. I am absolutely puzzled by both of those facts. These Danes haveÂ somethingÂ immensely special going on with their haunting blend of creeping strings, oddball beats, and ghostly vocals. Their sound is eerie and beautiful in the best way and if “You Or The Gang” doesn’t sell you on their sonic voodoo then I feel bad for you, son. I got 99 problems but a late contender for a top album of the year ‘aint one. The album starts with the slow-to-break “Pinned” but once that simple beat kicks into the ambient sounds you know you are in for a ride. “Fail Forever” comes next, confirming that doubly. Then it’s off in a few different directions as When Saints play with huge drums (“New Elvis”), strobe-light dance music (“Spitting Image”), weirdo soundscapes (“Pick Up Your Tears And Run”), and even a sing along hand-clap number about a girlfriend (“Head Over Heartbeat”). The best thing about this variety? It all works, and well. I basically can’t stop listening to this album. Each song has something unique going on and the whole experience always ends too quickly. 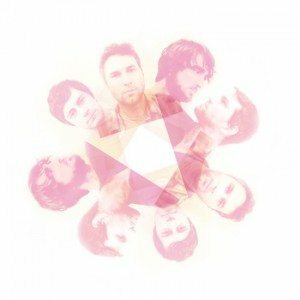 It looks like they will be releasing half of the 10 song album as the Fail Forever EP on Jan 31st so if you can’t find the whole LP then that is certainly a great place to start. And do start. Do. [EP] MUSCLES on a GIRL is a CRAZY thing to GO for. Kinda. 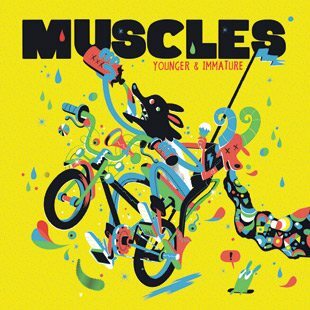 https://www.theburningear.com/media/2010/12/muscles-younger-and-immature.jpeg 310 310 Brandon https://www.theburningear.com/media/2015/03/TBE-Header-Logo-2015-stack1.png Brandon2010-12-18 01:03:192011-04-10 18:45:34[EP] MUSCLES on a GIRL is a CRAZY thing to GO for. Kinda. 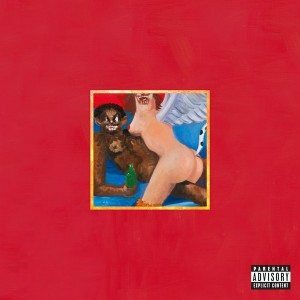 I’ve never really liked Kanye West. By that I mean both his music and him as a person. 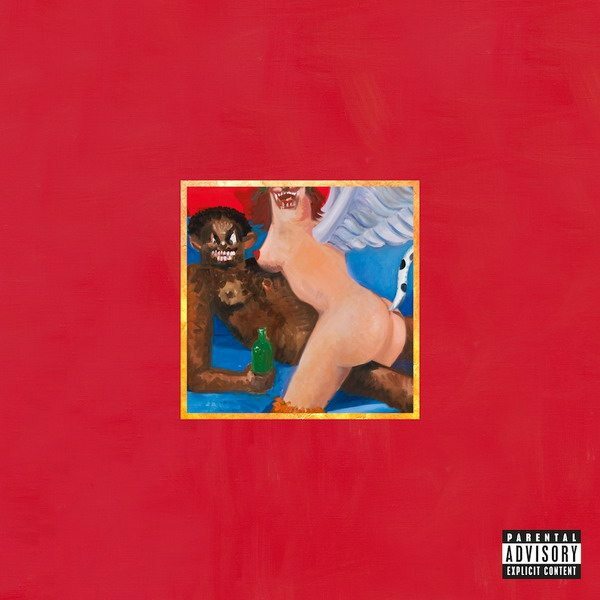 Neither really appealed to me and all his stunts from ’09 only confirmed the feeling. There were certainly a lot of laughs had at his expense. Then something very interesting happened. HeÂ disappeared. No new music. No new scandals. Nothing. When news surfaced of his self-imposed exile in Hawaii where he was working on a new direction for both his music and his public persona, I was intrigued. When he started releasing a free track every week with his GOOD Friday project, I was impressed. However, when I heard first single “Power” I wasÂ disappointed. It seemed he wasn’t going to be bringing anything special to the table. Then I heard “Monster” (above) and was blown away. We all were, but for me it was a tangible moment. The moment when I realized that I may be underestimating Kanye West. Before long I was watching his stunning 35 minute mini-film and album-teaser Runaway (below) and soon after found myselfÂ addicted to the rousing “All Of The Lights” (below) and it’s fantasticÂ arrangements. At this point I was officially stoked to hear the album.